Yes, after weeks of slacking, I finally decided the 55+ degree sunny weather was perfect for a training ride on Sunday, February 1. 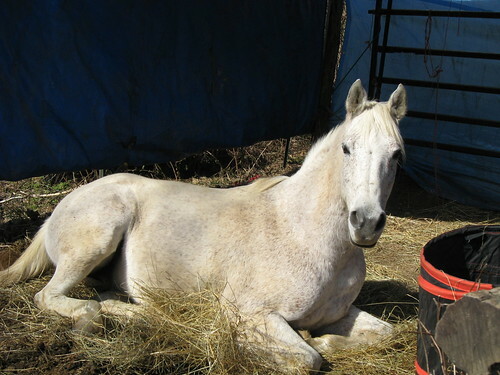 Tanna wasn't so sure, as he was sunning himself! 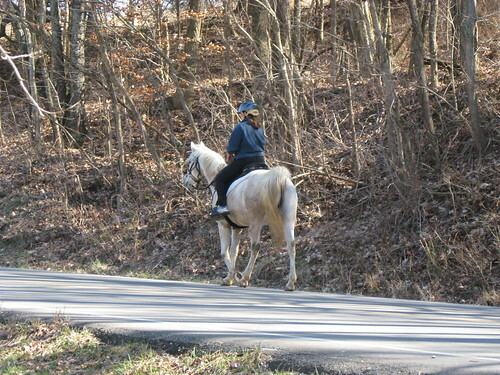 We headed down the road for a nice training ride at a relaxing pace. After 2 hours and 12 miles, we returned. Our communication was slightly off, but it was so nice to have a quiet ride with my buddy. Serts was also quite happy to have Tanna return! 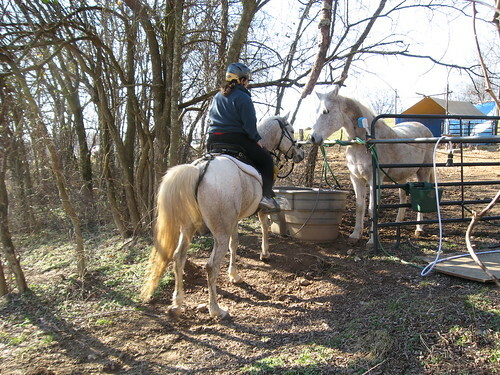 This weekend promises more beautiful weather and I'm planning to get some horse time in on Sunday. Well good to be back in the saddle again I am sure! How long does it normally take you to do a 12 mile loop when you are on the gas? 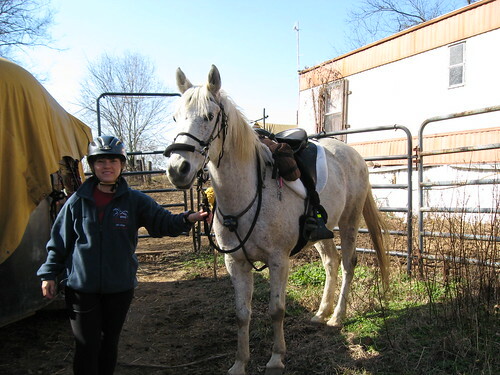 I could really get into endurance riding due to the bond between horse and rider. It seems like something I might enjoy will have to do some research. Surely arabs make the best mounts for this? Hi, Ron, I really should set my notifications on so I see these comments! 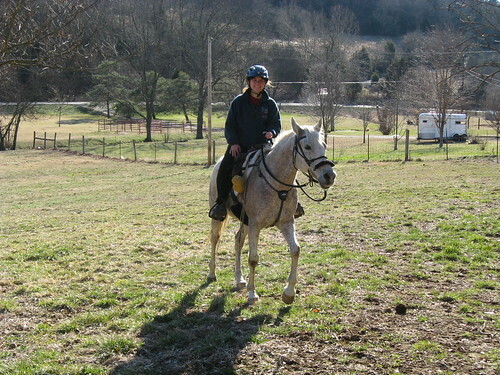 Arabians are quite popular in endurance, but any breed is welcome and many do quite well. When I'm really moving on a loop, 12 miles still takes me an hour and a half. I am known to take my time and get my money's worth! :) Slow and steady is our game. So awful that you broke your foot twice! Ouch!! I hope you're back on and riding! I really like my Specialized. It was a pain to fit as my husband and I did it ourselves and there was a huge learning curve. However, we are very happy with it and once we got it fit, we haven't yet had to tweak it, but the lovely thing is we can if that becomes necessary! If you have a friend that has one, try to get a close look at one. The best thing to do is get a demo and make sure the seat, etc is good for you. If so, you can get it to fit your horse by learning to do it yourself or getting a fitter to come do it for you. I highly recommend them, but they're not "out of the box" saddles for most horses, but there-in lies the power.